Music Row Tech: Where's My iPad!!!? Getting Your iDevice To "Call Home...."
Where's My iPad!!!? Getting Your iDevice To "Call Home...."
If you have an iDevice or two like me coupled with an uncanny ability to misplace even the most critical items, Find My iPhone (which more accurately should be named, Find My iDevice) is a service you should set up today if you haven't already! This Apple service was once part of the fee based, MobileMe offering, is now free and bundled as part of the iCloud suite. I have found various parts of the iCloud to be unreliable (particularly for those users attempting to integrate Apple devices with one or more Windows based computers). If you are interested in reading an earlier post on this subject, please click this link. 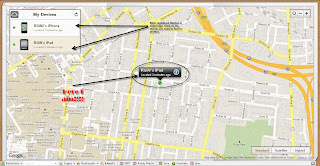 However, Find My iPhone works very well and can make your life easier in several ways! Like many insurance policies (and Find My iPhone is actually "insurance" against the day your iDevice is stolen or misplaced), once you need the insurance it is too late to get the policy! (Ever heard of someone trying to buy fire insurance as the house burns, or obtain medical insurance after getting news of a chronic illness?) 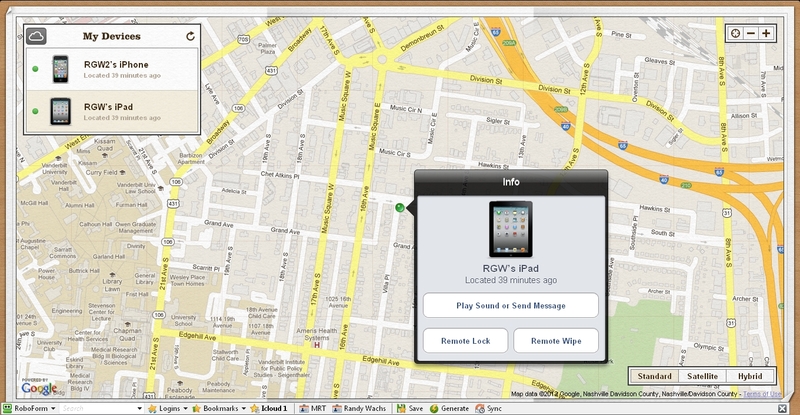 In order for Find My iPhone to perform its magic, you have to install this simple App on each iPhone and iPad you want to track. Be sure to SIGN IN to the service on each device! Downloading the App does nothing more to protect you than getting an insurance application and leaving it unsigned on your desk! Once you have completed these two quick steps, it is likely you will forget all about this App until you need it! What happened this morning? Well as occasionally happens in my world, I couldn't put my hands on my iPad this morning. I wasn't truly panic stricken because I knew the device was somewhere in my house, the question was where! (This series of events is all too familiar for those close to me!) 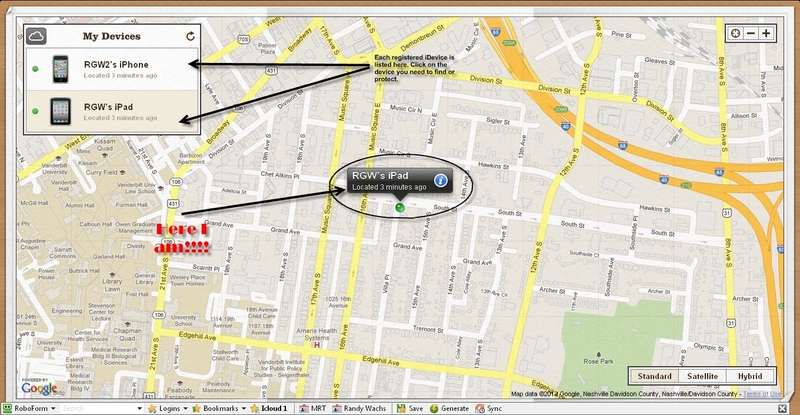 After fifteen minutes of fruitless searching, I headed to my home office and fired up Find My iPhone. I selected my iPad and after confirming it and I were indeed sharing the same address at the moment, I selected "Play Sound or Message." After this, it was only a question of wandering around and listening for the wayward device. I found it well hidden, snugly secured between my mattress and headboard. Without this service, I would probably still be frantically searching (creating a heck of a mess in the process), cursing, and making my dog very nervous. This may sound like a trivial example of forgetfulness (and it is in many respects), but it also shows how a feature you think may only have value after your iDevice has been left in a cab can make life better. So if you haven't taken the time to add this sentry to your Apple devices. Please make this your next projects after Google+ing (as that a verb!? ), tweeting, or sharing this article on Facebook with your friends. 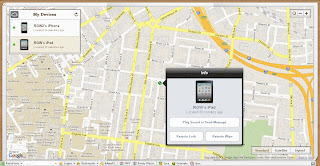 If Find Your iPhone has helped you in some way, I welcome your comments!